With 5 children still at home, it’s no surprise to anyone that my days are BUSY. From riding lessons to soccer practice, my kids are eagerly involved in a myriad of activies. When I’m contemplating and planning my homeschool, fine arts is ALWAYS high on my list. You’ll see us attending shows at our fantastic children’s theatre, and we’re anxiously awaiting the re-opening of our local art museum. Sadly, formal experiences with music somehow gets overlooked for Latin, phonics and math. We expose our children to a wide variety of music during our homeschool days, but we hadn’t really considered music lessons until this year. There’s a fine arts center not far from our house, but making room in the budget and our schedule for music lessons (no matter if it’s instrumental or voice) is a quandry. All three of my older children would love to take lessons, but there’s no group discount. Even if we could make the finances work, there’s still the scheduling snag, not to mention the hurdle of keeping a rambunctious toddler and a precocious preschooler occupied during lessons. I was provided with 3 free lessons from Gentle Guitar and was compensated for my time. All opinions are my very own. Gentle Guitar is a unique company, providing music lessons for children using the power of the Internet. 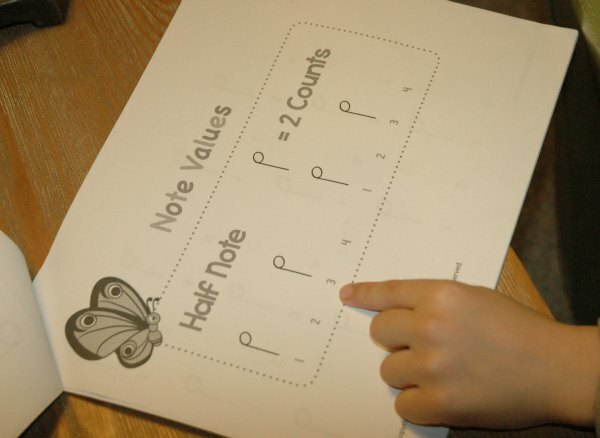 Without leaving our house, my kids can dive headfirst into a music curriculum and finally learn the music theory that I have no idea how to teach. 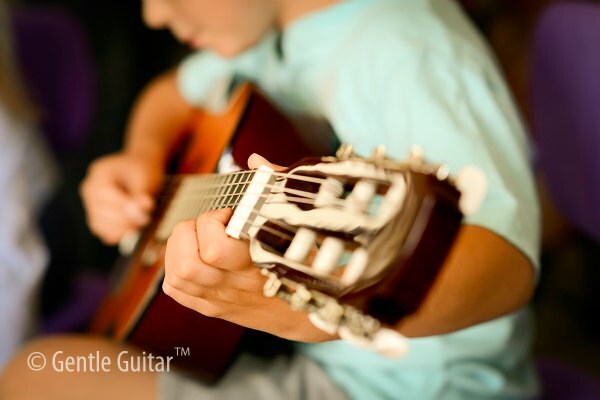 Gentle Guitar is the perfect solution for a big, busy family like ours who want to provide music theory in their homeschool, but are at a loss at where to begin. As a tech-savvy family, we’re familiar with using our devices to help us supplement our homeschool. You’ll find us watching documentaries on Netflix and Curiosity Stream as well as exploring options on Khan Academy. 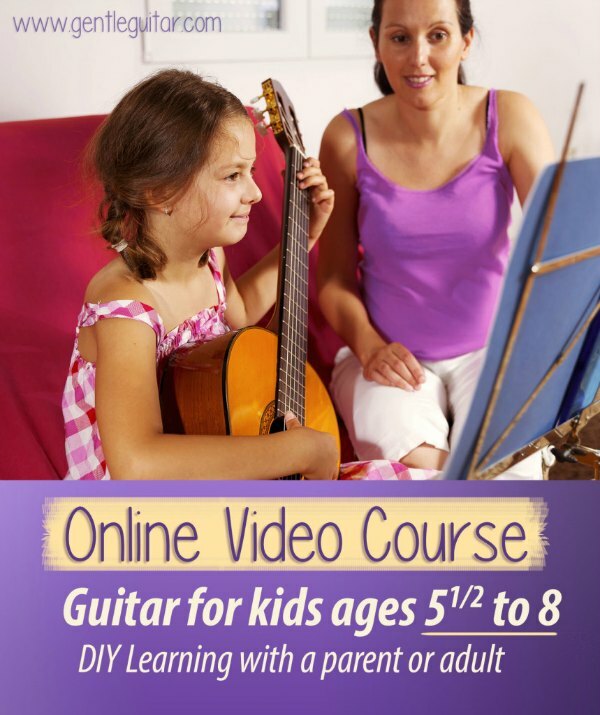 For us, online children’s guitar lessons with Gentle Guitar makes perfect sense. All of my children are thrilled about music lessons in our homeschool! Getting started couldn’t be simpler. Your family has two options with Gentle Guitar. First, there’s an online video course, geared for ages 5 1/2 to 8. The complete program is 4 online courses, each being 10 weeks long. The next course begins February 1, 2016. Signing up now gets you three free classes — you can try it out and see if it works for you. A 10 week course costs $88.90, which includes LIFETIME access to the files. This means you could buy the course once, and use it again and again with younger siblings. For a big family like ours, that’s a discount that can’t be beat! Want something a little more personal? If your children are between the ages of 5 1/2 and 12, you can look into private Skype lessons from Gentle Guitar. Children under age 10 need to be accompanied by an adult, and classes start anytime you want. Last Christmas, Thomas asked for a ukulele. He loves to strum along while he listens to music. He was thrilled when I told him that he was going to get to take music lessons. 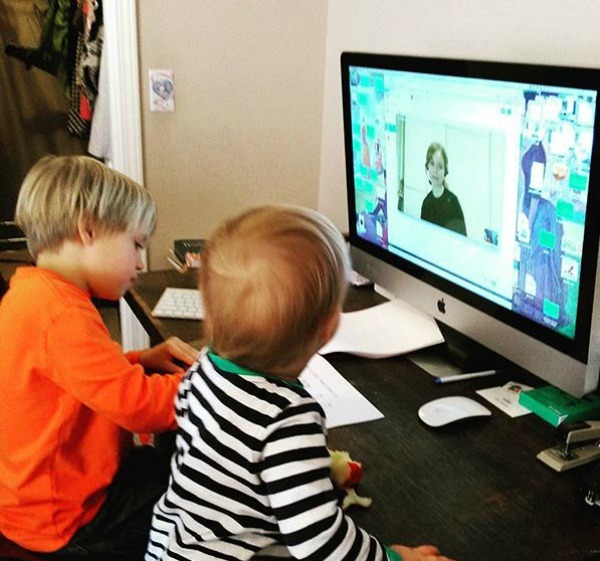 We set up our Skype, and all of his siblings crowded into the room to watch. Miss Inga was positively delightful. She was kind and patient, explaining quarter notes and half notes while Maeve and Daniel watched. Thomas has been practicing hard this week and can’t wait for his next lesson. What Will My Kids Learn in a Gentle Guitar Course? If you’re like me, you want to fast forward to the end and figure out the end result. 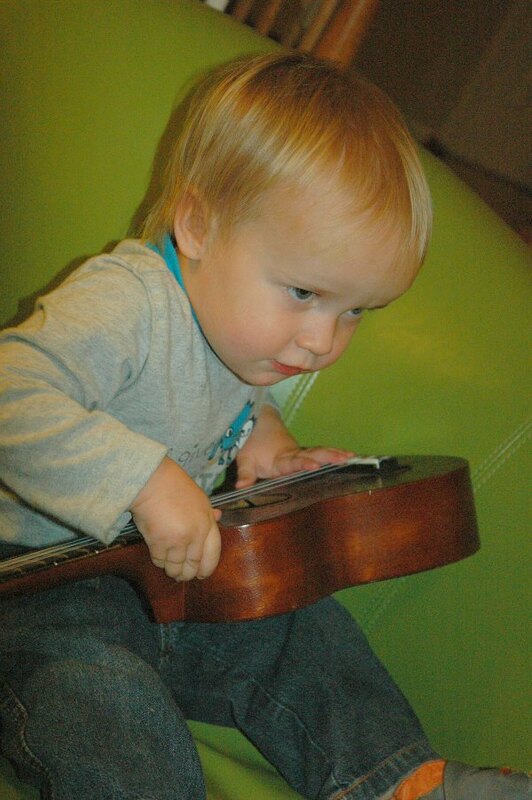 Take a look at how Gentle Guitar can benefit your child. -Your child will learn the difference between notes and chords and will play his or her first chord, the G7. Don’t miss Gentle Guitar on social media for news, promotions, free printables and more! What about you? 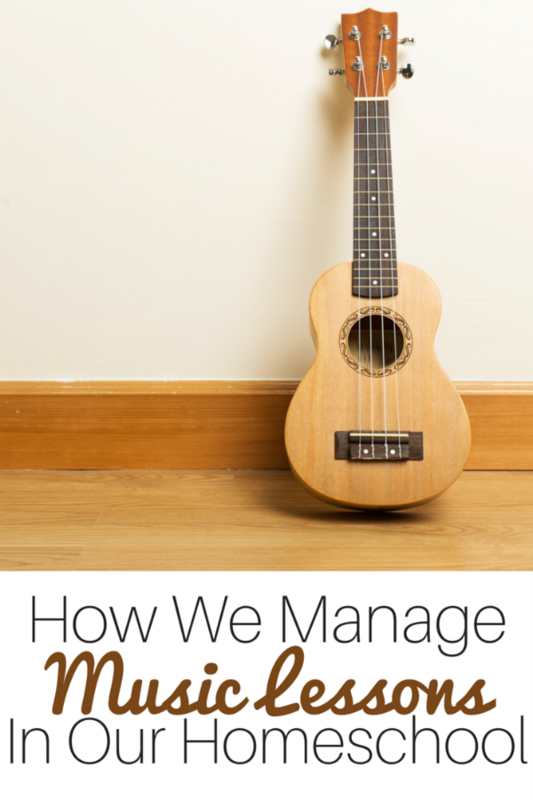 I’d love to hear from you about how you fit music lessons into your homeschool. Share your ideas in the comments!